December 13th is St. Lucy’s day and the poem I have chosen in my Advent Anthology from Canterbury Press Waiting on the Word, is ‘Launde Abbey on St. Lucy’s Day’. I wrote this poem whilst leading an Advent retreat at Launde Abbey, a beautiful place hidden away in the soft folds of Leicestershire. This particular morning, on Saint Lucy’s day, whose brief brightness is dedicated to the martyr saint who found the true dayspring and whose name means light, I walked in the abbey grounds. 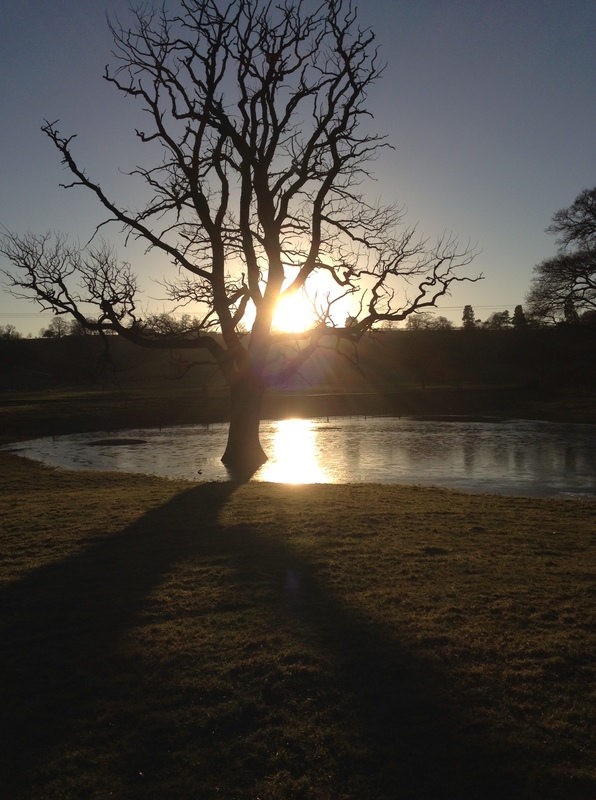 As I watched the bright low winter sun rise dazzling through the bare bleak leafless trees and light at last the Abbey’s sunken rose garden this sonnet came to me.You can hear me read this poem by clicking on the title or the play button. the image above, which anticipates the ‘great ‘O’ Advent antiphons, was created by Linda Richardson in her book of artwork responses to Waiting on the Word. I made this great ‘O’ on St Lucy’s, as a foretaste of the ‘O Antiphons’ that will begin on the 17th. Here in the dark days of winter Malcolm describes a frozen pond, winter skies and ‘frosty light that yet recalls the glory of the summer…’ The ground of the painting is a chilling white and blue, the ‘O’ is frosted with streaks of white but there is too, beneath the layers of paint and gleaming through, a recollection of summer light, even though ‘winter night will soon surround us here…’. Nothing much is happening in this painting just as it seems that nothing much happens in the dead of winter or in the dark night of the soul. It is at such times that we might discover with a great ‘Oh’,that it is Jesus who is praying within us, Jesus who understands, and that the song of His love for the Father can always be heard within us, even in the dark depths of winter. Burn their bright beauty on the weary mind. The glory of the summer roses there. 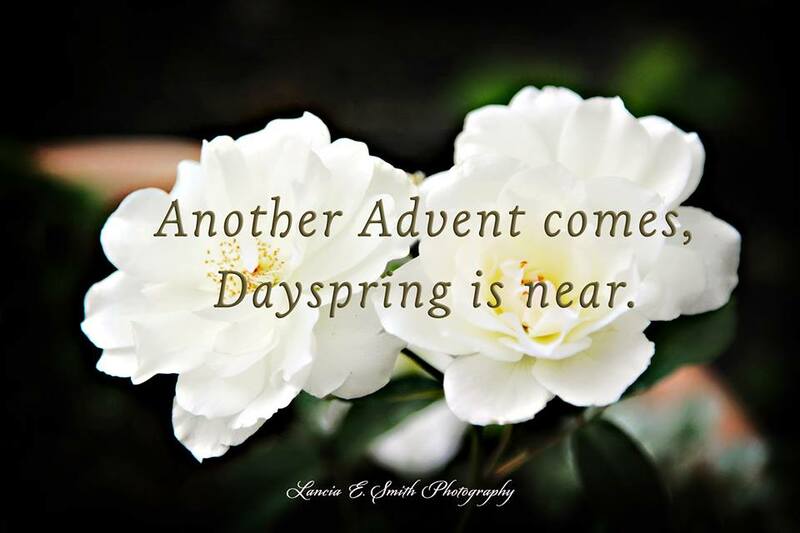 Another Advent comes, Dayspring is near. 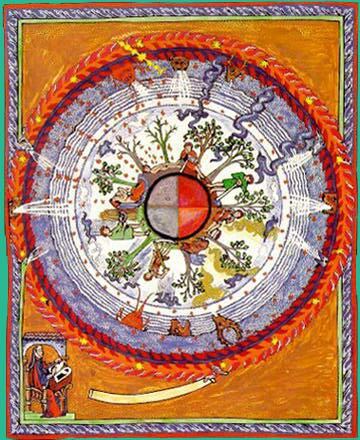 The 17th of September is the feast day of Abbess Hildegard of Bingen, a remarkable and prophetic woman, who described herself as ‘a feather on the breath of God’, and whose many works in theology, music, visual art, poetry and drama are still inspiring people today. Indeed she is coming more and more into her own, as one of her key ideas ‘Viriditas’, or the greening and life-renewing work of the Holy Spirit, seems especially apposite for our time. See this page on her by a contemporary Benedictine. As always you can hear the sonnet by clicking on the play button or the title. 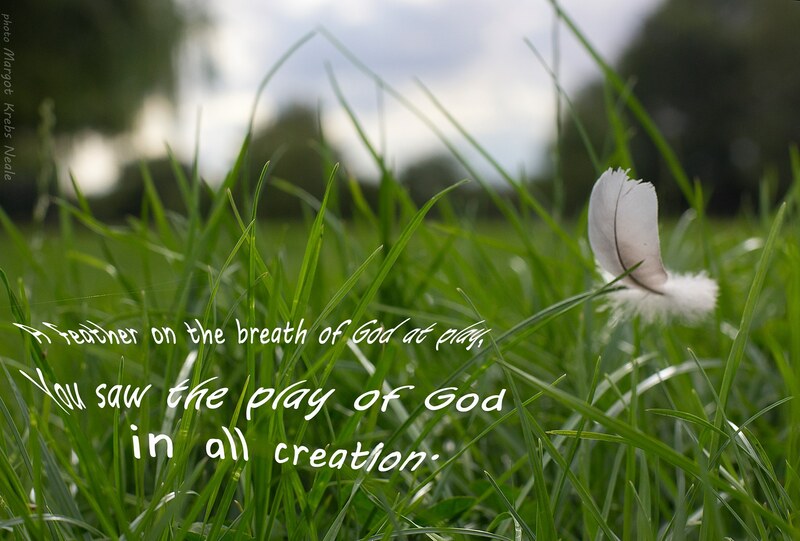 You saw the play of God in all creation. And every living breath was inspiration. And heard the Word of God in everything. The greening glory of viriditas. Either we hear you, or we don’t survive. December 13th is St. Lucy’s day and the poem I have chosen in my Advent Anthology from Canterbury Press Waiting on the Word, is ‘Launde Abbey on St. Lucy’s Day’. I wrote this poem whilst leading an Advent retreat at Launde Abbey, a beautiful place hidden away in the soft folds of Leicestershire. This morning, on Saint Lucy’s day, whose brief brightness is dedicated to the martyr saint who found the true dayspring and whose name means light, I walked in the abbey grounds. As I watched the bright low winter sun rise dazzling through the bare bleak leafless trees and light at last the Abbey’s sunken rose garden this sonnet came to me.You can hear me read this poem by clicking on the title or the play button. 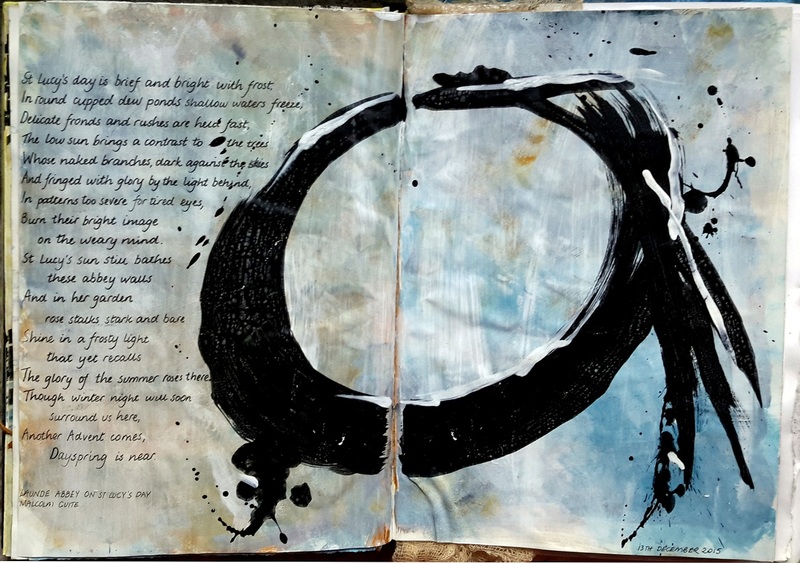 the image above, which anticipates the ‘great ‘O’ Advent antiphons, was created by Linda Richardson in her book of artwork responses to Waiting on the Word. 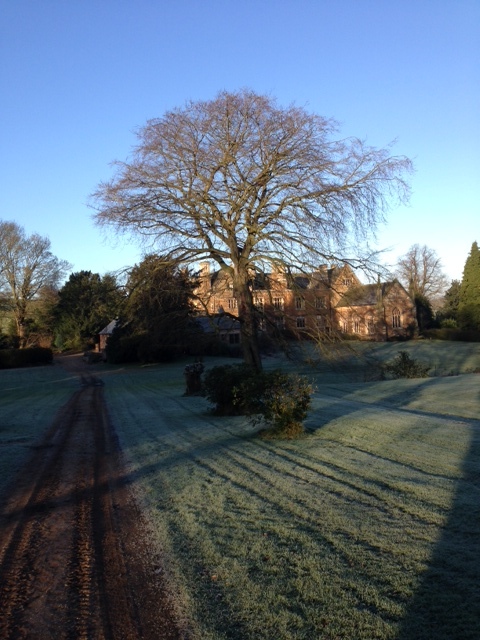 I am leading an Advent retreat here at Launde Abbey, a beautiful place hidden away in the soft folds of Leicestershire. This morning, on Saint Lucy’s day, whose brief brightness is dedicated to the martyr saint who found the true dayspring and whose name means light, I walked in the abbey grounds. As I watched the bright low winter sun rise dazzling through the bare bleak leafless trees and light at last the Abbey’s sunken rose garden this sonnet came to me.